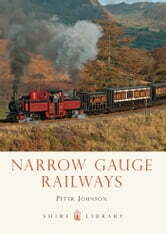 Narrow gauge railways, so well suited to difficult, mountainous terrain, were built in many of the UK's most scenic locations. Their genesis was in mines and quarries where they replaced manor horse-pulled wagons, but their adaptability meant that by the 1860s they were also carrying passengers, in some cases over quite considerable distances. Today a good proportion of all the important lines survive in the service of tourists, whose appreciation of the landscape, and the railways themselves, keep these relics of industrial Britain alive in all their variety. 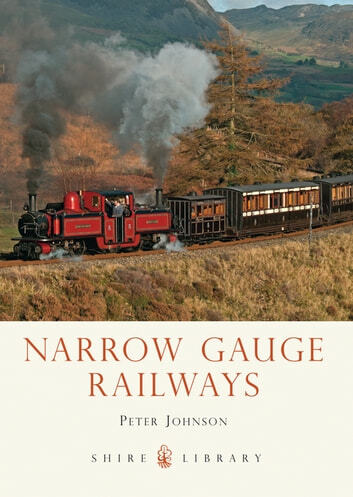 Peter Johnson has been researching and writing about narrow gauge lines for many years, and this is the perfect introduction to a rich and appealing corner of British railway history.